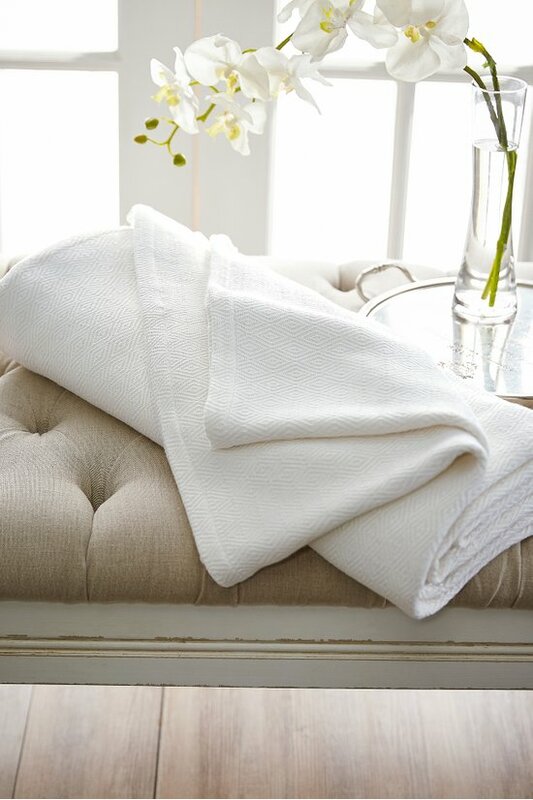 Warm in winter and comfy in the summer, this go-anywhere blanket marries cotton's luxurious softness with the temperature-regulating properties of bamboo. Lightweight and year-round layerable, it's woven with tonal diamond patterning for subtle texture. Machine wash cold, like colors, Gentle cycle, Tumble dry low, Removepromptly, Cool iron if needed, May be dry cleaned.